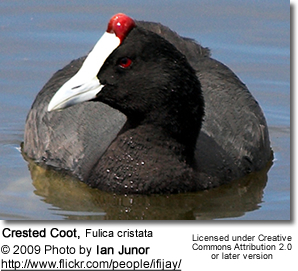 Coots are medium-sized water birds that are members of the rail family Rallidae. 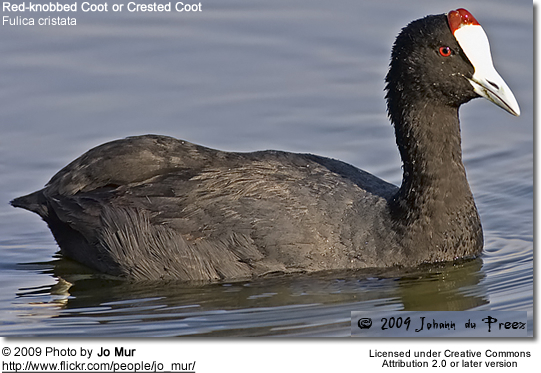 They are close relatives of the moorhen. The greatest species variety is in South America. They are common in Europe and North America. 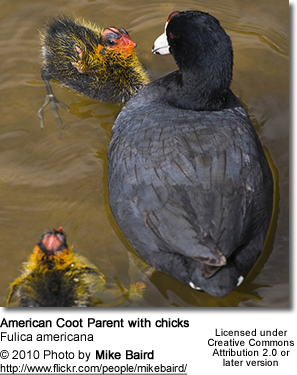 The American Coots have reached Great Britain and Ireland on rare occasions. The migratory species travel at night. 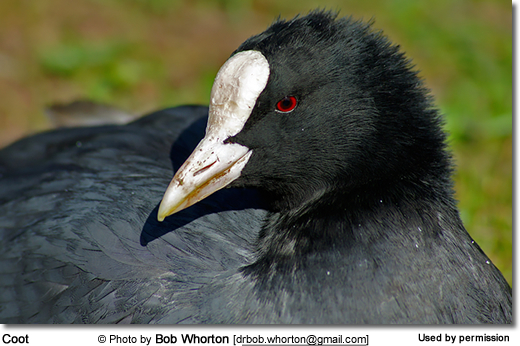 Coots have a predominantly black plumage with a prominent frontal shields or other decoration on the forehead, and colored bills, and many, but not all, have white on the under tail. Like other rails, they have lobed toes. They tend to have short, rounded wings and are weak fliers, although northern species are nevertheless capable of covering long distances. 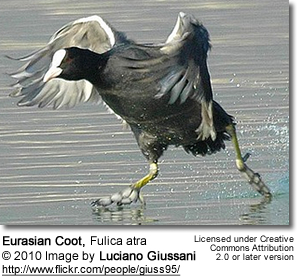 Coots have strong legs and can walk and run vigorously. 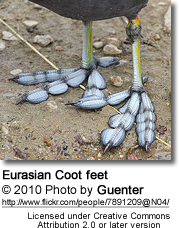 Their long toes are well adapted to soft, uneven surfaces. 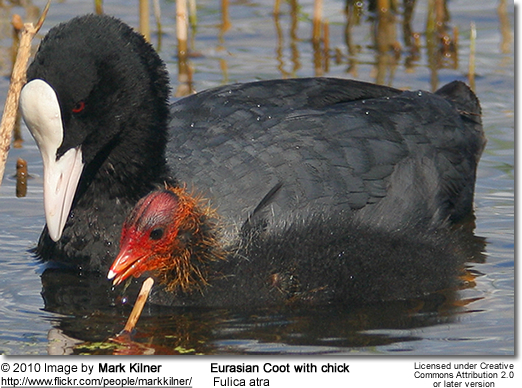 These birds are omnivorous, taking mainly plant material, but also small animals and eggs.